Ecumenical celebrations of the Protestant Reformation; what about sola Scriptura and the white horse of the Apocalypse? October 31st marks the day that Martin Luther hammered his now famous 95 theses on the Wittenberg Catholic church back in 1517. 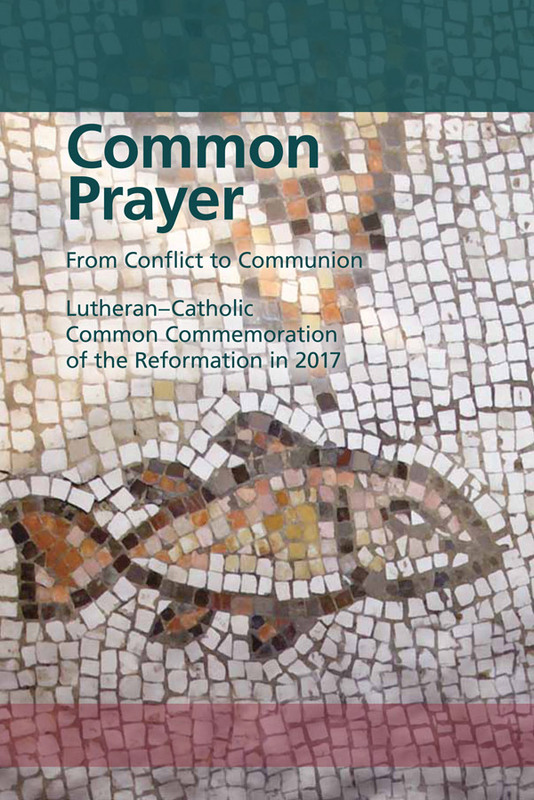 While the Church of Rome now agrees with many of the items on his list (and Pope Francis attended last year’s celebration’ for it- watch Pope Francis’ Celebration of Reformation’s 500th Anniversary), back then this caused tremendous dissension and was a key factor in the so-called Protestant Reformation. Instead of today being a celebration by Protestants denouncing Roman Catholicism, the 500th anniversary is instead a celebration that much of the rift between Lutherans, Anglicans, Roman Catholics, etc. is mainly over. Catholic and Protestant leaders will stress their mutual bonds 500 years after the start of the Reformation, a movement which tore apart western Christianity and sparked a string of bloody religious wars in Europe lasting more than a century. A service in Westminster Abbey on Tuesday will mark the anniversary of the date in 1517 on which the German theologian Martin Luther submitted The 95 Theses to the archbishop of Mainz as well as nailing a copy to the door of a church in Wittenburg, lighting the fuse of the Reformation. The archbishop of Canterbury, Justin Welby, will present a text by the Anglican communion affirming a joint declaration by the Roman Catholic church and global Protestant bodies described as “a sign of healing after 500 years of division”. Last week, Pope Francis said Catholics and Protestants were now enjoying a relationship of “true fraternity” based on mutual understanding, trust and cooperation. Looking forward, we commit ourselves to continue our journey together, guided by God’s Spirit, towards the greater unity according to the will of our Lord Jesus Christ. Protestants, Lutherans and Catholics are commemorating the historic day around the world in ecumenical services with his actions at the Schlosskirche in the town east of Berlin where he worked. In 2009, 10 years after the JDDJ was signed Cardinal Kasper traveled to Luther’s Wittenberg to plant the first of 500 trees in the Luther Memorial Garden. The 16th-century events, “divided our people and divided the Church,” said Kasper. “It is a day we hold in common and for which we have a joint responsibility,” he stated. “Now again that which belongs together grows together,” Kasper said in the Luther Garden in 2009, using a phrase of former West German chancellor Willy Brandt after the opening of the Berlin Wall in 1989 and referring to hopes for unity between East and West Germany. Not all Catholics or Protestants support the moves towards “true fraternity,” but enough have (along with many Eastern Orthodox leaders) to indicate that the goal of many is ecumenical unity. The planting of the trees officially began on November 1, 2009. This is unity, not based on the Bible (though it is sometimes cited), but more of a worldly political unity with doctrinal compromise. Martin Luther, himself, revolted against and taught against the Roman Catholic Church. He specifically taught that the Roman Catholic Church was the “great harlot of the Apocalypse” (O’Hare PF. The Facts About Luther, originally 1916, 1987 ed., p.9)–that harlot is a ‘mother’ church excessively involved in worldly politics (Revelation 17:1-5). Martin Luther, himself, also taught about a Pope being the “Antichrist” (O’Hare, p. 9). Many now seem to prefer a revisionist view of history. You tell me what a great fuss the Papists are making because the word alone in not in the text of Paul … say right out to him: ‘Dr. Martin Luther will have it so,’ … I will have it so, and I order it to be so, and my will is reason enough. I know very well that the word ‘alone’ is not in the Latin or the Greek text (Stoddard J. Rebuilding a Lost Faith. 1922, pp. 101-102; see also Luther M. Amic. Discussion, 1, 127). This passage strongly suggests that Martin Luther viewed his opinions, and not the actual Bible as the primary authority–a concept which I have named prima Luther. By “papists” he is condemning Roman Catholics, but it needs to be understood that Protestant scholars (like HOJ Brown) also realize that Martin Luther changed that scripture. 16 They are not of the world, just as I am not of the world. 17 Sanctify them by Your truth. Your word is truth. (John 17:16-17). Those who really do not love the truth will be deceived. Paul is warning that people will claim to be true Christian leaders and that those leaders will try to come across as ministers of righteousness, but instead be on Satan’s side. Many in the old Worldwide Church of God seemed to believe that the four horsemen began their ride in the first century, yet, the predominant position in its literature was that the horsemen had not begun their ride, but it was for the future. And in the latter portion of the 20th century that ride still was a future event. Then circumstances changed. There was an agreement between the Roman Catholics and Lutherans in 1999, but little seemed to change from that for a time (see also Beware: Protestants Going Towards Ecumenical Destruction!). But since then, in the 21st century, we have seen events suggesting that the white horse is moving about. Even though this first seal is opened up prior to the Great Tribulation (the “beginning of sorrows” precedes the Great Tribulation, cf. Matthew 24:8,21; and it could have officially began as early as the Feast of Trumpets in September 2009; if the first seal, in a sense, was not opened centuries ago—as at least its antetype has been around since Simon Magus of Acts 8:9-24–yet since Simon Magus and others were around BEFORE John saw the Revelation, they were not the final ride of the first horseman as the first seal could not be opened before John saw the Revelation! ), yet it will not be until after the beast powers of Revelation 13 are in full control, when the whole world will worship the beast and the dragon (Revelation 13:3-8; 18:23), that this horseman’s conquest will be complete. Could the first seal, for the ride of the white horse of the Apocalypse have began in 2009? 1. Responding to the invitation of the World Council of Churches (WCC) to offer a theological contribution to the process leading to the 2011 International Ecumenical Peace Convocation (IEPC) in Kingston, Jamaica, an Inter-Orthodox Preparatory Consultation was held in the island of Leros, Greece, 15-22 September 2009. 2. The gathering was graciously hosted, on behalf of His All Holiness Ecumenical Patriarch Bartholomew, by H.E. Metropolitan Paisios of Leros, Kalymnos and Astypalaia, in the Dodecanese islands, Greece. By itself, the meeting did not seem like too much, but it was partially in response to the World Council of Churches. Later Orthodox statements and developments have demonstrated that it might have been quite important. Notice this was called “a new phase” in the official dialogue, suggesting that major changes were occurring. On the next day, the Vatican and the Orthodox began a new round of ecumenical negotiations. The eleventh meeting of the Joint International Commission for Theological Dialogue between the Orthodox Church and the Roman Catholic Church took place in Paphos, Cyprus, a city with a rich history, having received three Apostles, Paul, Barnabas and Mark. The meeting took place from 16-23 October 2009…The Orthodox meeting discussed among other things the negative reactions to the Dialogue by certain Orthodox circles, and unanimously considered them as totally unfounded and unacceptable, providing false and misleading information. (Comminique. JOINT INTERNATIONAL COMMISSION FOR THEOLOGICAL DIALOGUE BETWEEN THE ROMAN CATHOLIC CHURCH AND THE ORTHODOX CHURCH. 11TH PLENARY SESSION. Paphos, Cyprus, 16-23 October 2009. Paphos, Cyprus, 22 October 2009. http://www.ec-patr.org/docdisplay.php?lang=en&id=1124&tla=en). Furthermore, there was a symbolic show of unity “initiated by the Lutheran World Federation in Geneva, with support from the German National Committee of the LWF and the United Evangelical Lutheran Church of Germany (VELKD) and by cooperation with Lutherstadt Wittenberg” and called the Luthergarten (http://www.luthergarten.de/welcome.html accessed 10/31/17). It included a tree planted first by Roman Catholic Cardinal Walter Kasper, the second by Metropolit Augoustinos for the Eastern Orthodox Patriarch of Constantinople, the third by Canon Kenneth Kearon for the Anglican Community, the fourth by Secretary General Dr. Setri Nyomi of the World Reformed Churches, the fifth by Bishop Walter Klaiber of the World Methodist Council, the sixth by General Secretary Dr. Ishmael Noko of the Lutheran World Federation, the seventh by Bishop Ilse Junkermann of the Evangelical Church of Central Germany, the eighth by Bishop Maria Jepsen of the North Elbian Protestant Church (Germany), and the ninth by Andreas Flade of the Protestant Lutheran Church of Mecklenburg (Germany)–in time, hundreds of trees were planted and from churches on all the inhabited continents of the earth (for details go to http://www.luthergarten.de/list.html accessed 10/31/17). Because of these actions, I have speculated that the ‘beginning of sorrows’ that Jesus spoke of (Matthew 24:4-8) may have actually began on or near September 19, 2009–during the WCC and Eastern Orthodox meeting. The actions of Patriarch Bartholomew may have triggered this. Consider that this first seal is to be (or even was) opened around the time when the one who will become the False Prophet successfully works with groups which will re-connect with Rome. At least one significant re-connection happened in 2009 with some of the Anglicans (Messia H, Hanna J. Vatican welcomes Anglicans into Catholic Church. CNN, October 21, 2009. http://edition.cnn.com/2009/WORLD/europe/10/20/vatican.anglican.church/ viewed 10/25/09). This has been followed by one or more declarations involving the Lutherans, Eastern Orthodox, and others related to the Church of Rome. Expect to see more declarations/deals beyond those which have already happened. Interestingly, on September 20, 2016, a Catholic publication referred to Patriarch Bartholomew of Constantinople as a “great ecumenist” (see Patriarch Bartholomew praised as a ‘great ecumenist’–will this end in disaster?). The sun-worshiping Roman Emperor Constantine is considered “great” for his compromising and blending of religions. He claimed to see a vision of the sun-god and then later a cross in the sky. Constantine impacted world history and the Ecumenical Patriarch of Constantinople seems to be as well, though a bit more subtly as far as the world is concerned. Could Patriarch Bartholomew have tipped the scales for many of the Eastern Orthodox to work towards ecumenical unity back in 2009? It certainly seems so. The true Christian church would preach prophecy, and that includes the coming apocalypse, biblically referred to as the Great Tribulation and the Day of the Lord. About this book of the Revelation of John…I miss more than one thing in this book, and it makes me consider it to be neither apostolic nor prophetic…I can in no way detect that the Holy Spirit produced it. Moreover he seems to me to be going much too far when he commends his own book so highly-indeed, more than any of the other sacred books do, though they are much more important-and threatens that if anyone takes away anything from it, God will take away from him, etc. Again, they are supposed to be blessed who keep what is written in this book; and yet no one knows what that is, to say nothing of keeping it. This is just the same as if we did not have the book at all. And there are many far better books available for us to keep…My spirit cannot accommodate itself to this book. For me this is reason enough not to think highly of it: Christ is neither taught nor known in it” (Luther, M. Preface to the Revelation of St. John, 1522). Martin Luther took away from this book through his comments about it, and this is the same Martin Luther who (as shown previously in this article) added words to the Bible that were not there. For centuries, Luther’s and the papacy’s followers have clashed on many points. Yet, now we see those who claim to follow Martin Luther’s religion and those the papacy’s wanting to reconcile. Neither side that wants reconciliation really wants to move towards sola Scriptura: instead they simply feel that this is a politically and socially positive thing to do. This will look like them riding on a white horse for peace (ecumenical unity is part of the WCC’s ‘peace plan–watch World Council of Churches Peace Plan), but really they are supporting the ride of the white horse of the Apocalypse. This will lead to war (Revelation 6:3-4; Matthew 24:4-8) and the Great Tribulation (Matthew 24:21; Revelation 6:9). Therefore, no true Christian would endorse the ultimate goal of the reconciliation of the 500th anniversary of what is considered to be the start of the Reformation. Do not let the talk of reconciliation among many of the world churches deceive you–this will not end well (though we will see a temporal period of peace in the Middle East per Daniel 9:27, that also will not end well). The world’s unity, not based on the Bible and God’s Holy Spirit, is demonic (cf. Revelation 16:13-14)–it will not end well. But ultimately, Jesus will return (Revelation 16:15) and establish the millennial Kingdom of God–after opposition to Him is crushed, that will bring true peace and unity. Pope Francis’ Celebration of Reformation’s 500th Anniversary The Vatican announced that Pope Francis plans to attend a celebration commemorating the 500th anniversary of Martin Luther’s nailing his 95 theses on the door of a church in Wittenberg, Germany on October 31, 1517. Is this part of the ecumenical movement? Is this a good thing? Does the Bible warn against this? Do Protestant leaders favor ecumenical unity? What did early Protestants teach about the papacy? Should the Bible or human committees be listened to? This entry was posted on Tuesday, October 31st, 2017 at 7:00 am	and is filed under Religious News.